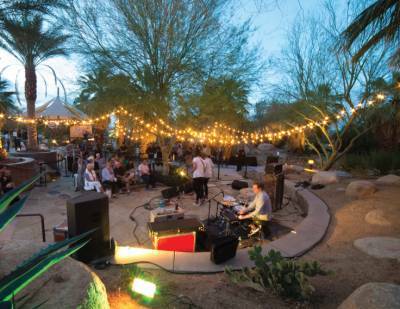 Imagine your wedding, luncheon, dinner, presentation, or business event taking place in a premier cultural destination where art is all around you. 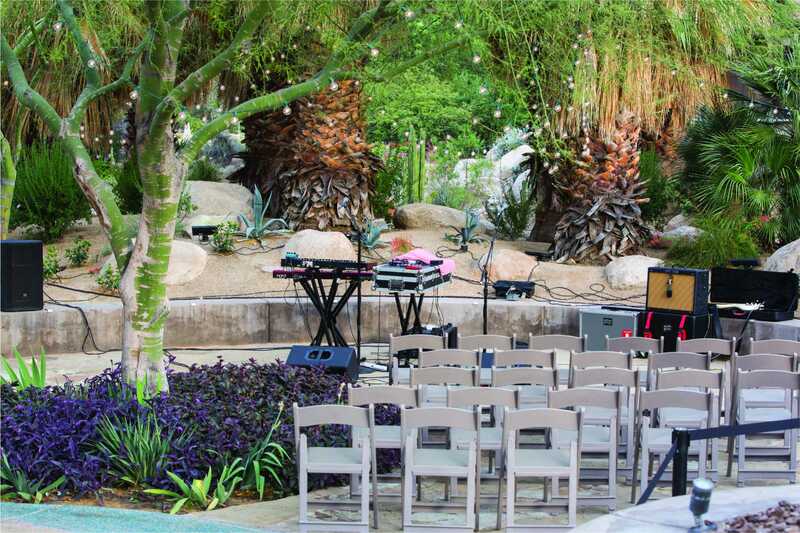 Located in the heart of Palm Springs, just steps from the city’s finest hotels, restaurants and attractions, stands Palm Springs Art Museum; a unique, chic and sophisticated setting for your special event. From the moment your guests enter they will know that they are in a truly extraordinary place. Choose a venue as spectacular as the occasion itself and surround yourself with world-renowned works of art. Weddings, Rehearsal Dinners, Receptions, Anniversaries, Bar and Mat Mitzvahs, Retirement Parties, Corporate Events and more. 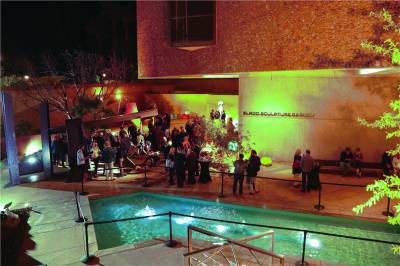 Palm Springs Art Museum has spectacular options for planning your next special event whether it is for 25 or for 500. With its polished blond wood floors and lava rock walls, the Atrium is the perfect setting for dinners and receptions. Your celebrants will dine and dance surrounded by world class art, from Pablo Picasso to Chagall to Lichtenstein; an unforgettable experience that will make your wedding stand above the rest. 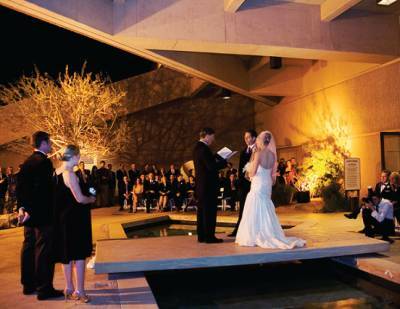 Ceremonies and smaller receptions can be held in one of outdoor gardens amid original contemporary sculptures surrounding a sparking central fountain. Cocktail and hors d’oeuvre receptions, prior to dinner, come alive in our sculpture gardens as well. Located in beautiful Palm Desert, the Faye Sarkowsky Sculpture Garden surrounds The Galen building with a lush landscape of native plants and sculptures from modern masters like Donald Judd, Dan Namingha, Gio Pomodoro, and Dave McGary. This Silver LEED – certified building named The Galen presents spectacular rotating exhibitions and special collections available for viewing during your event. 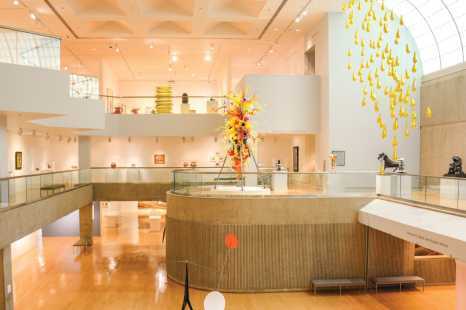 Whether you are planning an intimate affair for 25 guests or a lavish wedding for 150, the spectacular spaces at the Palm Springs Art Museum in Palm Desert will make your event unforgettable. This intimate 433 seat theater with nearly perfect acoustics and great visibility from all seats is praised for its great shows, phenomenal performances and film screenings that take place throughout the year. 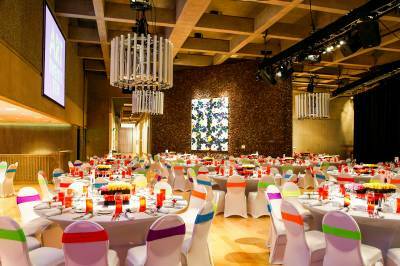 The Annenberg Theater is available for corporate events and private entertaining. 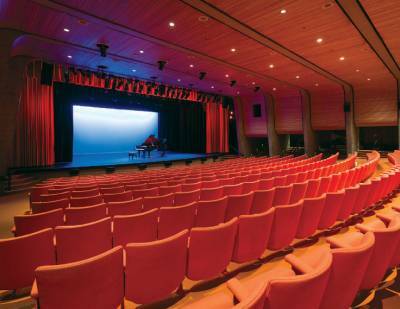 It is the perfect location for keynote speakers, film screenings, seminars and private parties. Have dinner or a cabaret night or even your wedding on the stage for a truly unique evening. This modern 88 seat venue for smaller presentations, is also available during the days and evenings. Contact us to learn more about our different spaces or to book your event. How can I see the spaces that are available for my event? Please contact our Special Events Manager (Jennifer Snowdon, jsnowdon@psmuseum.org, 760-322-4878) to make an appointment. We welcome the opportunity to tour you through the museum and discuss all the details of your event. May I have my ceremony and reception at the museum? Yes! You are also welcome to host just a ceremony or just a reception at the museum. In order for us to consider an event on a definite basis, a deposit is required at the time of booking. Now do I reserve a date for a special event? The Special Events Manager will help you to determine if your preferred date is available. Once this has been determined, a hold will be placed on the date and venue of choice and the Special Events Manager will draft and send you a contract for your review and signature. Once we receive it with your initial deposit your date and venue are official. How much time do you allow for a special event? Our standard time slot is 4 hours; however, for a nominal fee, additional time may be added. What is the earliest time an event can start? 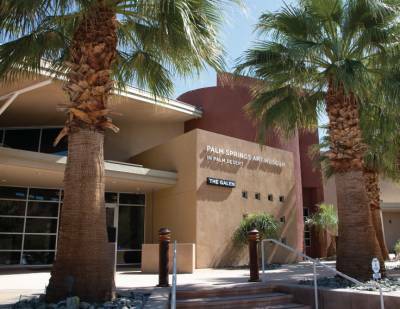 Palm Springs Art Museum is available for events on most days. On Mondays, when the museum is closed to the public, there is more flexibility with start time and set up. Should you have a special time request, please discuss with your Special Events Manager. What is the latest an event can run? The latest an event can run is 12 a.m. Your vendors will still have 2 hours of break-down time. Should you have a special time request, please discuss with your Special Events Manager. Yes, for a nominal fee a microphone and sound system will be set up by the museum. The museum has two parking lots totaling 150 parking spaces. Parking is complimentary for special events. The museum can also make arrangements for valet parking. What is the policy for deliveries? The museum accepts deliveries or shipments. If you are renting equipment from a rental company, have them contact your Special Events Manager to set up delivery and pick-up time. Photography is permitted in and around most of the museum. However, some special exhibitions prohibit photography. Flash photography is prohibited. Your Special Events Manager will advise you areas that are available for photography.